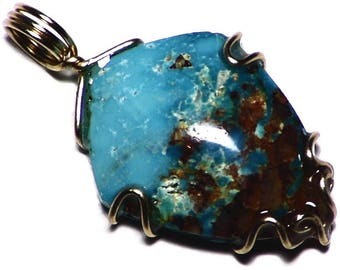 Turquoise is one of the most ancient gemstones. 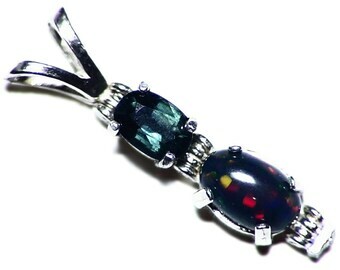 From the earliest human civilizations it has been valued as a gem for its beautiful, striking color. 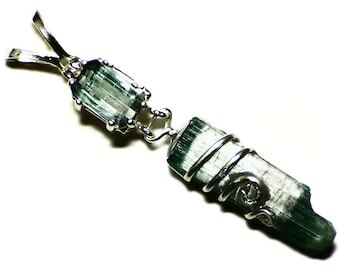 One of the first major mines of turquoise was located in the Sinai peninsula, and its production supplied many of the gemstones set in the treasures of the Egyptian pharaohs. It is also in this mine where Egyptian overseers and workers from the Levant developed a system of phonetic writing, giving birth to the very first alphabet. The mines in Egypt have largely gone dry, but other sources have been discovered around the world. The American southwest, particularly Arizona, is a well-known source, as are Mexico and Iran. 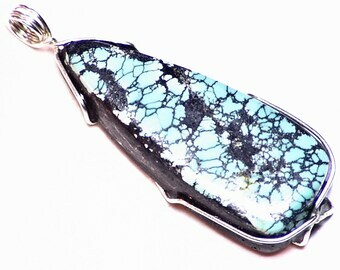 China, however, is also a major producer of turquoise. 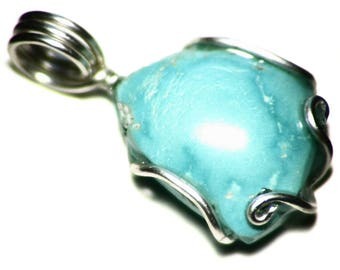 Though in recent times its reputation has suffered from large quantities of treated or outright faked material coming from China, their turquoise culture goes back many centuries and the deposits there do produce some fine material. 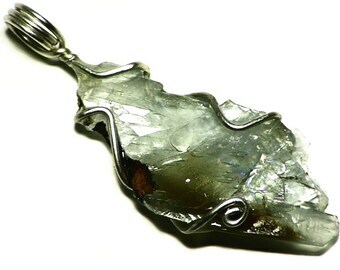 This stone is a really nice example. I purchased it as a rough piece, and could immediately tell it was untreated because of its natural surface including a porous matrix that would have been strongly altered by treatment. 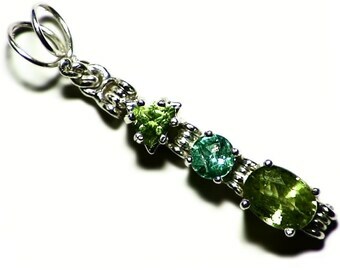 It has a rich, natural green color with a beautiful spiderwebbed pattern. I sliced this stone and polished the front and back while leaving the edges natural to preserve the raw beauty of the stone. 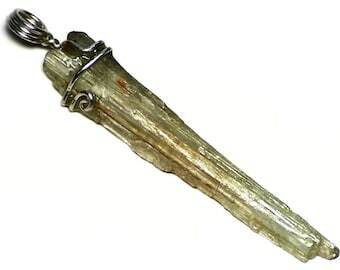 Below it is a kyanite crystal blade. 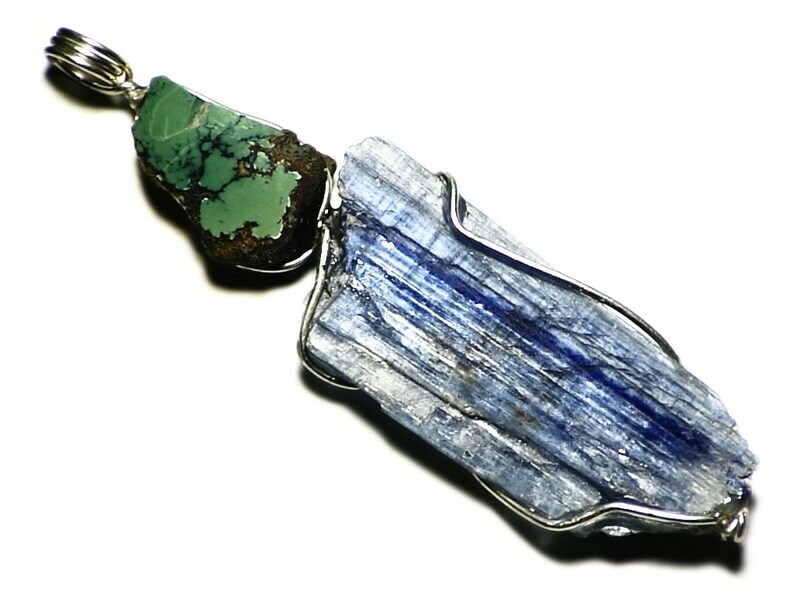 Kyanite is a stone best known for the rich, intense blue color which gave it its name. It comes in black, green and orange as well, but blue is still the most classic, ranging from light aqua blue to rich sapphire blue. 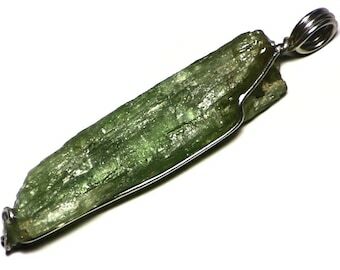 It tends to form flat, elongated crystals, hence often being called a 'blade'. This one is a really nice example, with a rich blue base and a stripe of sapphire blue.